Create the docker swarm files. I am using docker swarm, because it’s very easy, but these following few steps are essentially to build the containers and run them. Other Orchestration systems work similarly. If you want to go with Kubernetes (k8s) and a high availability cluster you will need something like this article from My Friend Alex about “How to deploy Kubernetes HA cluster”. We have our containers running now. Let’s work on replication. Notice: the “\” character is introduced for a line jump you might want to convert all into one single line if the command does not work for you. -vvv -e"GRANT REPLICATION SLAVE ON *. * TO repl@'%' IDENTIFIED BY 'slavepass123'\G"
**As you see the user exists on master and has replication privileges. 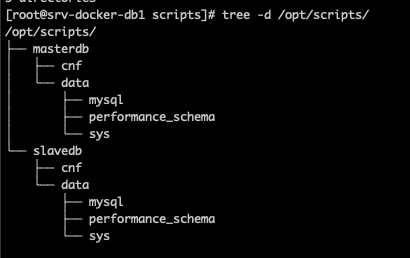 # docker exec -ti dbs_db_master.1.ndu3zg45si7o73pia77nryw9a 'db_master' -uroot -pexamplei123! 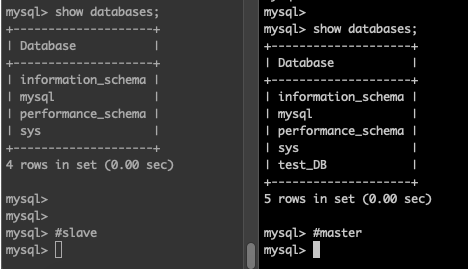 -e "SHOW MASTER STATUS\G"
First remember on item (Show binary logs position to replicate to slave) we created a dummy db on master. If you check now it did not replicate to slave. This behaviour is expected. 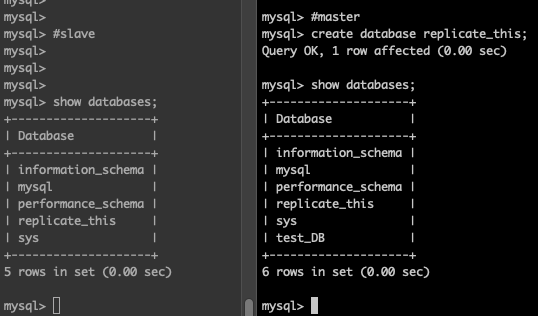 We managed to create a simple example of replication of Percona MySQL 5.7. All was done using docker containers. 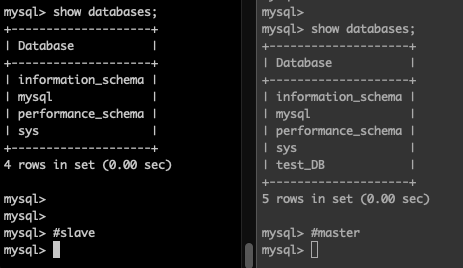 This is a simplified version and should not be used on production environment. This entry was posted in Databases, Debian, Development, Fedora, Linux, MySQL, Networking, Tips by abel. Bookmark the permalink.